Fishing Access Points - Why the USA is better! are those bullet holes in the U.S sign? There maybe lots complaints with the USA. -- Not the People GCD but you got too give them credit that they do stand up for the righs that were granted them in the declaration of independance. I wish more signs like this were posted in Ontario. Not only does this provide access points but it also encourages fishermen to respect the property they are on. If more people would do that we won't see signs like the first one. all depends on where the signs are posted. I have seen similar signs (the Ontario one) near private "members only" fishing clubs, hatcheries, aquaculture cage sites, fish ladders, dams and sancturaries. I have seen that same US sign near a fly fishing only stream near Scottsville south of Rochester at a public fishing area just outside of a state park. If you read the sign it basically says to not go beyond the stream banks or you are trespassing. Don't get me wrong I'm all for public access and the more the better but get the full story before you jump to any conclusions. Yes public access is great but it is usually the public that screws it up for themselves by being a nuisance, trespass,urinating on peoples property,throwing garbage on peoples property etc. If you gotta pee, you gotta pee. There isn't much we can do about that. And personally if I owned land along a river I'd much rather someone peed in a bush than threw bottles and fishing line everywhere. As with most things it takes a couple of knuckleheads to ruin things for everyone else......but if i were a landowner and fishermen on my property always coincided with litter (bottles, line, etc) left all over the place I wouldn't want us on my land either. I love it when a Canadian says "the states", as if 50 different legal jurisdictions somehow all had the same customs, laws and and regulations. I grew up in the Midwest states; Indiana to be exact, lived all over "the states" for years: Pennsylvania, Massachussettes, Wyoming... I still go down to vist a couple of times each year. If anyone in Central Ontario thinks there are more fishing opportunities- or more fish - in most states, they have had a very different experience than I have. When I go down and visit, and talk about the fishing opportunities in Ontario, every fisherman I talk to ask "When can I come and visit?". Grass is never greener on the other side. I was communicating with some BC anger site and hope to move there due to the size of their walleye and trout, until they were envious of our bass fishing. In some states there are a lot of pay as you play fishing areas as opposed to free access. Just generalizing about access points. We are losing more and more public places to fish as urban sprawl occurs in Ontario. In new developments near water, angler access is not exactly on the list of important requirements. Another access point example...Queenston, ON VS. Lewiston NY (Directly across the river on U.S. soil). One has a beautiful double concrete launch ramp, washroom facilities, restaurant, ample parking, etc, etc. The other one has a dirt road leading to the launch, limited parking, and if you have to go #2...it's in the bush! Where exactly does the revenue generated from fishing and our ON license dollars go anyway? Last time I checked, the ones actually making a difference in Ontario are the NGO's...not the ministry. personally i think places should be kept natural and not have parking lots, porta pottys, etc etc. when i go fishing i like to go to the bush. if you make it all nice nice then alot more ppl will show and the areas will be out fished. im glad i live in more northern ontario. i hate going to the states i stay away much as possible but they do have good deals on fishing gear i'll give them that! also i live right on the border of the us and they all come here to fish, hunt and camp, i wonder why? Are we waiting for an escalator on the Canadian side? 10x's the population = 10x's the tax $$$ for public projects. MANY of these access points like in Lewiston are owned and operated by the town of Lewiston not our DEC. As a matter of fact there are NO free access points that I know of on Lake Erie or Ontario owned or run by our DEC (Department of Environmental Conservation). So on the lower Niagara River you need the town of Queenston to step up to the plate on that one. Yeah but look at our side of Niagara Falls, and look at your side of Niagara Falls lol. 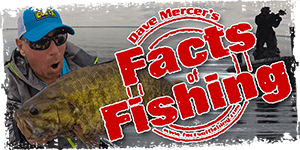 In Nova Scotia you are allowed to cross any private property to fish, as long as it is not fenced off or you are interfering with farming of any sort. I believe the law only applies to residents of NS though.